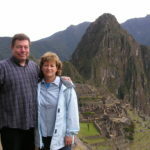 This was our first trip with Overseas Adventure Travel (OAT) and I am writing this posting years after having taken the trip to Peru, Machu Pichu and the Galapagos. It was our second trip with the company (our first trip to Vietnam was with Grand Circle Travel … before we knew of OAT’s existence). For that reason, I strongly suggest you read more recent reviews and evaluations posted by travelers who have taken the gtip more recently. If you are considering the Machu Picchu and Galapagos Tour with Overseas Adventure Travel (OAT), feel free to take advantage of this special savings. When making your reservation, simply say you were referred by Jesse Slome (Customer Number 932019) and they will deduct $100 off the lowest available price. This works just one time on your first trip. No catch and it’s just for your first trip. I really liked this trip and I suspect you will as well. 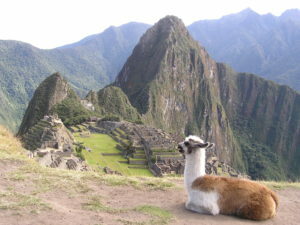 It was well paced and I have to say the visit to Machu Picchu was incredible. We had great weather as you can see from this photo I took. I remember this tour as being very active (which is something I like). As you’ll see from the other tours I’ve taken, there’s a bit of free time on OAT tours and I remember doing and seeing a lot on this trip. 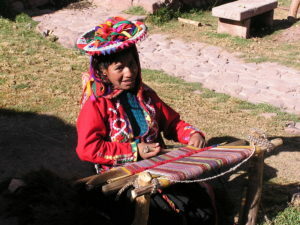 We really got to see the people and learn about the country. A trip to the Galapagos is on most people’s bucket list and this tour didn’t disappoint. 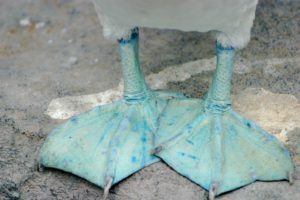 You’ll see things not seeable anywhere else (like the Blue Footed Boobie) and that makes it memorable. YES, getting to the Galapagos is expensive. It added quite a bit to our trip then and it does so now. But OAT does a really good job and having a small group and a small boat allows you to have access to places the larger cruise ships can’t access. 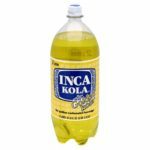 MY TIP: You must try Inca cola. You couldn’t find it in the US when we went and I’m sure it’s still hard. The company was bought by Coca Cola. It tastes like chewing gum. If you fly LAN airways they serve it. So, you can try on your way there. But, if not, find a market and buy a bottle. Something different for sure. AGAIN … it’s been many years since Mindy and I took this trip. But as with all our other trips with Overseas Adventure Travel, we found they did a really good job and provided great value for the money. I am confident you’ll enjoy (and don’t forget that if this is your first trip, use our referral discount). Thanks for reading. I wish you a wonderful trip. IF YOU DO USE MY REFERRAL CODE TO SAVE $100 – why not send me a quick note to say hello. I always like to hear from folks who love travel as much as we do.